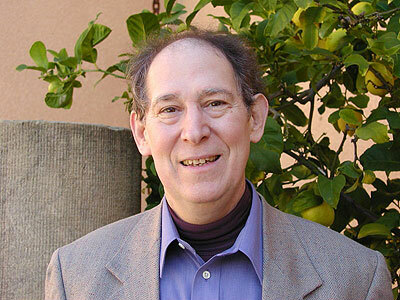 Noted climate scientist Stephen H. Schneider of Stanford University died July 19, 2010, of an apparent heart attack while traveling in London. He was 65. SI Editor Kendrick Frazier and CSI Executive Council member and former CFI Board member Thomas Casten remember him in separate personal tributes. This is terrible news about Steve Schneider. Steve was one of the best, probably the most articulate, and among the most outspoken of the climate scientists. He was a wonderful, first-rate scientist who didn’t mind being active in the public arena. In fact, he seemed to relish it. He was a steadfast defender of good science and opponent of ideological-based climate contrarians. He was an excellent writer and communicator. And if the facts changed, he changed his scientific view. For more I recommend reading Andrew Revkin’s blog today. Steve was a member of the National Academy of Sciences and a MacArthur Fellow. He was active on the IPCC. A few months ago I had quietly nominated him to become a Fellow of our Committee for Skeptical Inquiry in our next election round, and he had told me he would accept. He was proud of what we were doing in SI. I knew Steve way back in the ’70s before and after I was at Science News and he was at the National Center for Atmospheric Research. Of his many climate books I have two he personally inscribed to me, The Primordial Bond (1981) and The Co-Evolution of Climate and Life (1984). He wrote Global Warming in 1989 (and many other book since). We then lost contact for years and renewed acquaintances at the 2009 AAAS meeting in Chicago, where he spoke (and again at the 2010 meeting on a panel with Eugenie Scott on climate-science deniers and evolution deniers). Since that 2009 meeting he had served as an informal consultant and guide to me on our climate coverage in SI. He was very wise about the media and media dynamics and often spoke to science journalism groups, where he was highly respected. He even had a regular blog site about that, mediarology, which I highly recommend. There’s also a chapter on that topic in his latest book, Science as a Contact Sport (National Geographic, 2009). The book details in a personal first-person style his involvement in the rough-and-tumble climate wars over the past 40 years. It is very readable. In memory of Steve, I’d like to reprint here the short item “Climate Change: Skeptics vs. Deniers” I asked him to write for our May/June 2009 issue’s coverage of that year’s AAAS meeting in February. He’d spoken on this topic at the meeting. I think he says it all, very succinctly. Stephen H. Schneider is a climatologist whose first book about climate and world problems was published way back in 1976 when he was at the National Center for Atmospheric Research. He is now professor for interdisciplinary studies and a senior fellow at the Woods Institute for the Environment at Stanford University. He has long been active in climate policy issues. At this year’s AAAS meeting, he was the invited discussant at the session on media coverage of climate change (see main article). The SKEPTICAL INQUIRER invited him to elaborate briefly on thoughts he expressed there about skeptics vs. deniers. All good scientists are skeptical: I changed my mind from cooling to warming in 1974 when the preponderance of evidence shifted—and is now well established. I changed my views on nuclear winter to “nuclear autumn” in 1984, incurring the wrath of the peace movement— again because the preponderance of evidence shifted with study. That is a skeptic, what all scientists should be. But real skeptics still accept a preponderance of carefully examined evidence even when some elements of a complex systems problem remain unresolved, and they do not pretend that when there are loose ends some well-established preponderances don’t exist—that is beyond skepticism to denial—or often political convenience. So a skeptic questions everything but accepts what the preponderance of evidence is, and a denier falsely claims that until all aspects are resolved we know nothing and should do nothing—often motivated by the latter. If you deny a clear preponderance of evidence, you have crossed the line from legitimate skeptic to ideological denier. Stephen Schneider is partly responsible for my career-long focus on profitably reducing greenhouse gases, and happily, I was able to share this with him about a year ago. In 1975, my assignment from Cummins Engine Company’s CFO, was to spend a year looking at the issues facing a global industrial enterprise over the next 25 years, and advise the then 40 year old top management team of long-range threats. This was shortly after the Club of Rome and Dennis and Donella Meadows had published ‘Limits to Growth’ raising concerns about population growth, industrialization, pollution, and other areas. The work examined whether mankind would ‘overshoot’ natural systems and end up with an irrevocably damaged planet. While I examined the whole range of industrial pollution, I turned to Stephen Schneider for insights into global warming, and he generously gave me his time and answered my questions, plus steered me to the then relatively limited literature. The other major influence was the writing of René Dubos, who felt humans could invent good ways to deal with most pollution, which has proven prescient, but that carbon dioxide was a completely different pollutant. Different because it is the natural product of releasing ancient sunlight from fossil fuel, different because its volume is about fifty times the total of all other pollutant emissions from burning fossil fuel, and different because, as Dubos noted, there were not even theoretically ways of converting the carbon dioxide back to carbon and oxygen that did not require more energy than had been liberated from burning fossil fuel. Thirty five years later, companies I have led have deployed $2.0 billion of capital in over 260 projects that avoid 5 million tons of carbon dioxide emissions per year versus conventional generation. Best of all, the hosts of these projects save about $500 million per year, with no investment on their part. This is their share of the savings in fossil fuel purchases from the doubled efficiency these projects obtain by producing two products – heat and power – from one fire. Of particular note, the net savings, after capital recovery and all costs, is about $100 per ton of avoided carbon. The unproven assumption that reducing carbon will raise the cost of energy services causes fear in many, including much of the Republican party, and helps explain their steadfast denial of the climate change problem. They fear that acknowledging the problem will lead to mandates that then lower our standard of living. Thanks to Stephen Schneider’s kind and thoughtful help many years ago, we have at least 260 case studies of profitably reducing carbon dioxide. Thank you Stephen. Thomas R. Casten is founder and chair of Recycled Energy Development, LLC, Westmont, Illinois, and author of Turning Off the Heat: Why America Must Double Energy Efficiency to Save Money and Reduce Global Warming (Prometheus Books, 1998). He is a Fellow of the Committee for Skeptical Inquiry and a former member of its Executive Council, as well as a former member of the Center for Inquiry board.